It's official: 2017 is off to an amazing start for crime books. Two of my favorite recent reads are releasing today, and I wanted to take a moment to highlight them! These two picks are very different from one another, yet both totally addictive in their own unique ways. HER EVERY FEAR is a slow-burning mind game—a story that delves deep into the minds of its characters and their backstories, creating steadily-building suspense. Kate Priddy swaps apartments with her Boston-based cousin, hoping that a change of scenery will do her good following a personal tragedy. 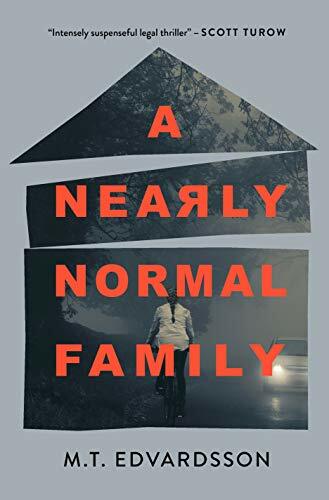 But when she arrives in Boston, her cousin’s next-door neighbor has just been found murdered, and Kate finds herself falling deeper and deeper into obsession with the mystery. A read brimming with quiet tension, HER EVERY FEAR had me completely hooked from the first page to the last. DON'T read this book if: you’re looking for a lot of action. This book is all about bringing the reader into the minds of its characters, rather than providing the reader with twist-a-minute thrills. This style of thriller writing nearly always works for me—my favorite books always dig deep into the minds of their characters, and Swanson does just that in HER EVERY FEAR. Read my full review here. // Amazon info here. I’m not usually one to read an adventure thriller, but THE RIVER AT NIGHT totally won me over with its characters, engaging language, and immersive pacing. There’s just something about this book that reads like a Ruth Ware novel, if Ware set one of her stories against the wilds of Maine. Winifred needs a vacation. Stifled by a soul-crushing job, and reeling from the death of her brother, she sets her apprehensions aside and agrees to accompany her friends on a daring white-water rafting adventure in Maine. But what begins as a fun vacation soon takes a deadly turn. I felt totally at home in Ferencik’s writing, thanks to her accessible, relatable characters and fast-paced plotting. DON'T read this book if: you’re looking for a story that is true-to-life. THE RIVER AT NIGHT requires suspension of reality in order to enjoy this book—it features plot twists and developments that are, to be sure, quite unlikely to really happen on a white-water rafting trip in Maine. If you want something realistic, this won't be for you. But for me, the drama just swept me up in the story even more. Read my Buzzworthy 2017 Books post here. // Amazon info here. Are either of these books on your TBR? I'd love to hear from you!